I have a small parcel of land where I grow vegetables. And I like it. When I go there, it brings me back to my roots: living in a small village and helping my dad to get the most of a 6000 square foot garden. Even if it’s in town and my space is probably 30 times smaller than what we had at home when I was young, I feel alive when I’m there. And it struck me how similar it is to what we do in social media. When you get your hands on a parcel, it’s not perfect, not ready to plant. You have to observe, plan and remove all the weeds. It’s all good because it gives you the time to figure out what you’re going to do with it. Same thing with social media: newcomers try to plant without having figured out how it works. If you plant in that soil, you’ll have to compete with weeds and your stuff just wont grow in the middle of all that. Clear the land, prepare the soil and plan a bit before you start growing stuff. This is really the fun part. You divide the land and plant your stuff while trying to figure out how it will look once everything has grown. But again, you have to remain careful while doing it because a lot of things just don’t mix well, whether it’s two varieties that can harm each other or two plants where one may suffer from the other’s parasites. There is no greater let-down as a child than cutting open a watermelon that ended up having the interior of a spaghetti squash. The following year, believe me, you put the two at the opposite ends of your garden. When you start a social media project, you never know how it will end. 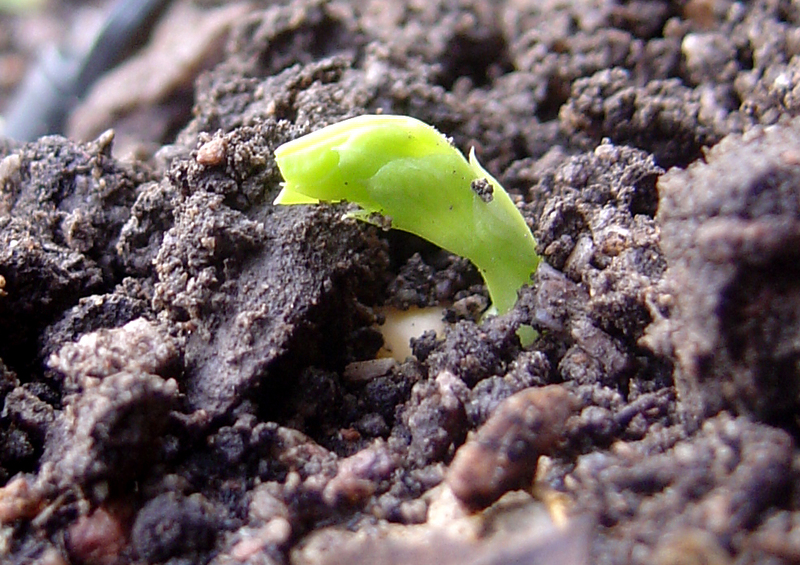 You may have a lot of surprises during the process: seeds refusing to grow and plants dying for no apparent reason. Things are just the same on the web: you never know if the project you start will blossom and produce the expected results. That’s why it’s better to get help from an experienced resource to make sure everything is fine from the start. The hardest, longest part of the process is to take care of the garden: turning the soil, removing the weeds, watering the sprouts. It takes time, energy and faith to make sure everything will grow fine. You can add water as much as you can, but if weeds remain there, they’ll use the water meant for your precious veggies, get all the sunrays and their roots may harm what you’ve planted. And you have to provide the right nutrients that will help your stuff grow. It’s not a once-in-a-while job, it’s constant day-to-day care you have to provide. If you start a social media project, whether it’s a blog, a podcast or a community site, if you don’t put the time and efforts it just won’t work. The results will be equal to the amount of energy you’ve put in and the time you’ve taken to take care of blogposts, audio files or the members of the community. After all the time, all the effort, all the faith you’ve put in your garden, it’s now time to harvest the fruits it’s produced. There is always a lot of pride involved when you harvest, and a sense of self-accomplishment. Just to see all the energy put into that parcel of earth turned into something that’s living, something good, something that has a value and that’s worth the effort, it’s just great. In these times when everything goes at rocket speed, where you don’t have to plant anything to get your hands on food, at times where results are expected even before something is out there, it’s sometimes hard to make people understand the value of having your own garden. Because it takes time and effort to make a garden happen and it’s exactly the same thing with social media. But while you’re doing so, you invest in yourself, you invest in the fruits of your own labour. And the time and energy you spend now to make things grow will last way longer than a quick lunch at a restaurant. Sometimes, we just don’t know from the start how much effort it will require to make things happen and it’s perfect like that. Many social media projects and many gardens would never exist if the gardener knew that from the start. What’s important to keep in mind throughout the process are the results, the fruits, the pride and the achievements you make. And the human contacts. Because social media, as much as gardening, is a matter of human contacts and sharing of knowledge.